George Miller’s demolition-derby sequel was a paean to practical stunts and diesel-fueled spectacle: a reason to get off of your couch and go to the movie theater. But now that you can stay on your couch and still see it, you’ll probably want to catch the gasoline-soaked action on most high-def screen you can fit into your living room. That way you can soak up every detail of in 4K -- from the first mutated lizard to the last flame-belching exhaust. 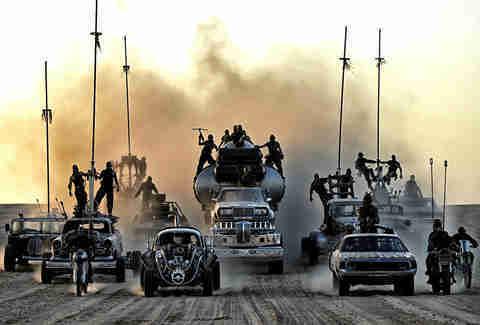 If you need more proof of the intense visuals, Mad Max won six Academy Awards last year, mainly for its mastery in categories like film editing and production design. The one technical award Mad Max didn’t snag at the 2015 Academy Awards? Best Visual Effects. That went to this futuristic sci-fi chamber drama, which won for the extraordinarily subtle digital work it took to transform a living, breathing Alicia Vikander into a whirring, buzzing android with artificial intelligence. Ex Machina shows that a movie doesn’t have to be big and noisy to look amazing. And why would you want to use anything other than bleeding-edge technology to watch a movie about the inherent dangers of bleeding-edge technology? The Best Scene to Watch in 4K: In the scene where Ava is introduced to Caleb for the first time, you’ll clearly sense the emotion and astonishment Caleb feels when he meets the mesmerizing, frighteningly life-like robot. 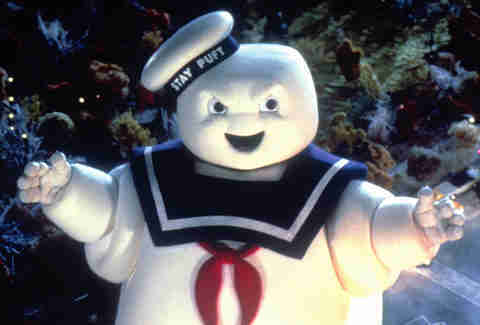 The Best Scene to Watch in 4K: The marshmallow man scene. Honestly, is there a more simultaneously ridiculous and intimidating villain in cinema history? 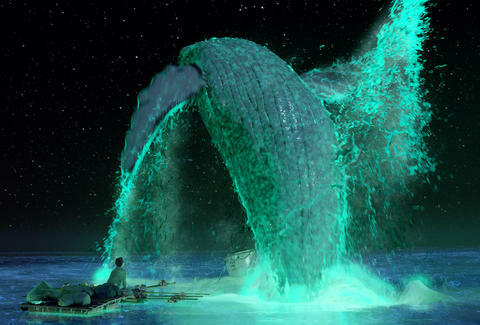 The fact that Life of Pi was a novel that many considered “unfilmable” just made it that much more impressive when Ang Lee not only adapted it for the screen, but turned it into one of the most rapturously gorgeous stretches of digital celluloid ever rendered. 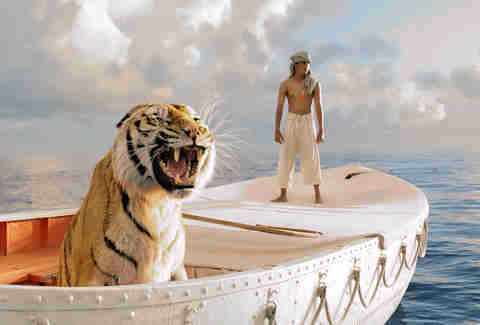 “Richard Parker”, the CGI tiger sharing the protagonist’s lifeboat, is only one of the film’s many visual triumphs. (The special effects crew actually watched real tigers to get a sense of how he should move and behave.) Translating the film’s painstakingly-created beauty to 4K was a no-brainer, as is watching it that way. The Best Scene to Watch in 4K: The flying fish scene's gliding volleys of marine life look so real it feels like they’ll smack you in the face in your own living room. Even if you feel like some of Interstellar’s wormholes eventually spit out to plot holes, you have to admit the movie made space look good. 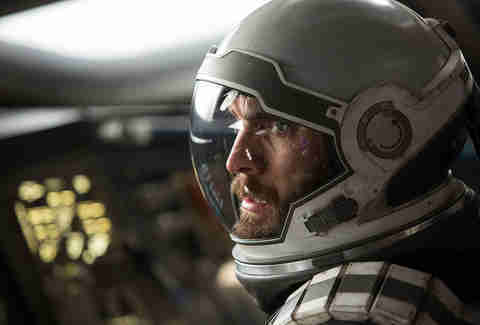 In high-definition, Interstellar’s special effects will crash over you like, say, a giant tidal wave on a foreign intergalactic water planet. Somehow 4K makes even the nothingness of a black hole look like it’s right there. The Best Scene to Watch in 4K: The scene where they visit Matt Damon's planet. The treacherous frozen ice clouds are even more otherworldly in 4K. 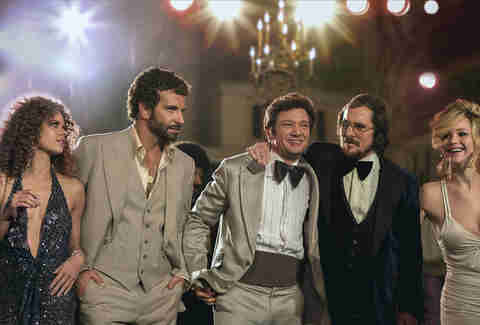 “We get it,” you’re saying, “4K helps make special effects look more special, but what about movies that are about people and not robots or computer-generated tigers?” Take American Hustle, then, which is chock full of fun characters, smart production design, gnarly costumes, and evocative period details. And in 4K, the orange of that shag carpet and the brown of that wide-lapel suit really pop. You’ll also be able to make out every smoothed down follicle of Christian Bale’s comically bad combover, not to mention every stitch, thread, and freckle of their polyester jackets and evening gowns. The Best Scene To Watch in 4K: If you watch Bradley Cooper messing with Bale’s 'do, you’ll get a perfect glimpse of the bald spot on the ex-Batman’s head. 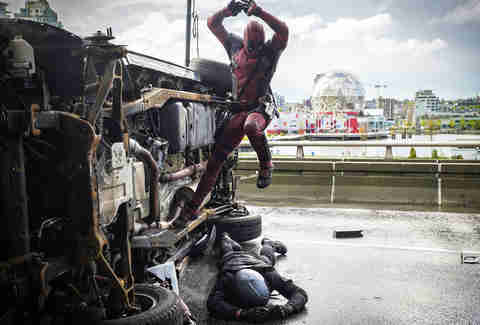 The Best Scene to Watch in 4K: The final fight scene is so action-packed with explosions, collapsing rubble, and hand-to-hand contact you’ll be wringing your hands the whole time. Ultraflix is a streaming service that specializes in 4K content, even revamping classics like Top Gun via a sister company and breathing new technological life into older films. See all of Maverick and Iceman’s fly-bys and hotshot maneuvering in heat-shimmering HD, not to mention the crazy six-packs during that bros-only volleyball game. 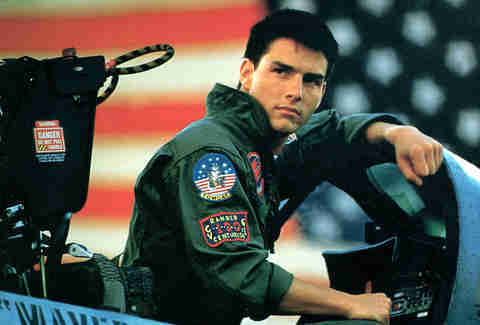 The Best Scene To Watch in 4K: Watching Maverick’s aerial acrobatics during the final dogfight are intense enough to make your stomach turn, and, in super high definition, are bound to make you as giddy as Top Gun did when you first saw it. Longtime analog proponent Martin Scorsese personally supervised the remaster of his gangster classic into 4K resolution, which means that it’s as official a transfer as you’re going to get. And if you thought an unhinged Joe Pesci was terrifying in standard definition, just wait until you see him get his shinebox in 4K. 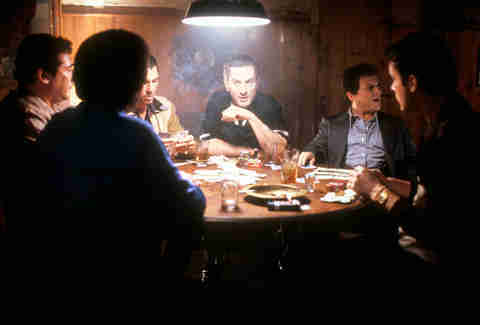 The Best Scene To Watch in 4K: The iconic scene where Pesci’s Tommy DeVito asks, “I’m funny, how? Like I’m a clown?” Just don’t laugh. 4K movies can make you feel like you are actually in the film, which is ideal for this sci-fi survival blockbuster that attempts to depict the ferrous landscape of the Red Planet with as much scientific accuracy as possible. You’ll get such a high-definition view of Mars’ dust storms and jagged rock formations -- not to mention every bump and crevice of those life-saving potatoes -- you’ll feel like you’re stranded on Mars yourself (oh no!) 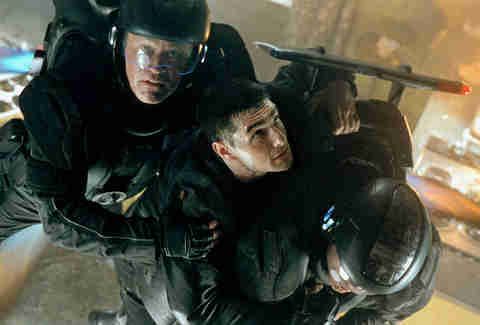 with only Matt Damon to save you (okay, maybe it’s not all bad). 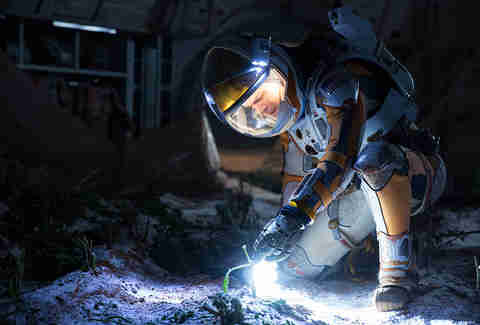 The Best Scene to Watch in 4K: The scene where Matt Damon blows himself up while attempting Martian agriculture will make you jump out of your seat. The Best Scene to Watch in 4K: When the pre-cogs predict that Tom Cruise will kill, the tech he uses to watch their vision will give you a glimpse at what we might be able to expect from the next generation of TVs. We’ve already covered that you should be watching big explosions, crazy stunts, and action-packed car chases in 4K, so why not something that has them all? : NASCAR. Netflix doesn’t have a ton of 4K movie options yet, other than some of its original content, but it does have this Will Ferrell/Adam McKay joint, and because most of the racing scenes were filmed using real stunts, watching it in 4K is like getting a trip to an actual race track. Except with drivers who finish the last lap on foot to the sound of Pat Benatar. The Best Scene to Watch in 4K: The scene where Ricky Bobby crashes and thinks he’s on fire, but isn’t. To be slightly reductive, running around and yelling is what Will Ferrell does best, and this is some of his best, A-1 running and yelling. Bowie fans and those into psychedelic adventures with puppets (it’s safe to say there’s probably a crossover here) can rejoice because Jim Henson’s Labyrinth is officially available in 4K. 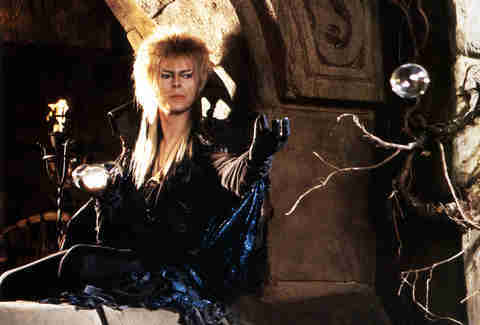 It’s one of the most unexpected titles to be remastered in Ultra HD, seeing as it was a total box-office flop when it was released 30 years ago, but today, the film has a huge cult following that’s probably dancing their own version of the “magic dance” at the chance to see Bowie’s magnificent Goblin King hair in 4K. The Best Scene to Watch In 4K: Dance Magic Dance. Just try not to sing along. 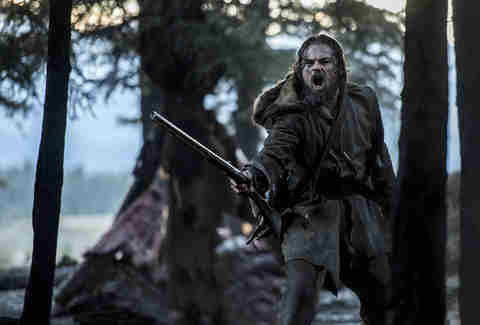 Yes, Leo’s acting was Oscar-worthy in The Revenant, but the real star was actually the rugged, frozen Canadian Rockies where most of the film was shot. Cinematography maestro Emmanuel Lubezski completed an unprecedented hat trick of Oscar wins by capturing the austere, terrible beauty of the great outdoors. In 4K, avalanches, snowscapes, and icy isolation are more menacing than any human antagonist. We only specify “human” because that rampaging bear is Leo’s most impressive special-effects adversary since a sinking ocean liner. The Best Scene to Watch in 4K: The bear scene got people talking before the movie was even released, and for good reason: it’s shot from the ground, so when you watch it in 4K, you can practically see cavities in the grizzly’s teeth as he, ahem, bears down on Leo. You may not have realized it at the time, but this film would end up being responsible for single-handedly bringing the “swords and sandals” genre back into fashion, finding massive success decades after that of Spartacus and Ben-Hur. Its sweeping vistas of Ancient Rome and CGI-enhanced Coliseum melées won it the Best Visual Effects Oscar in 2000, and it’s definitely worth revisiting in 4K, because it’s the closest you'll get to actually being in the good seats during this scene. The Best Scene to Watch in 4K: The scene where Russell Crowe also has to fight tigers. 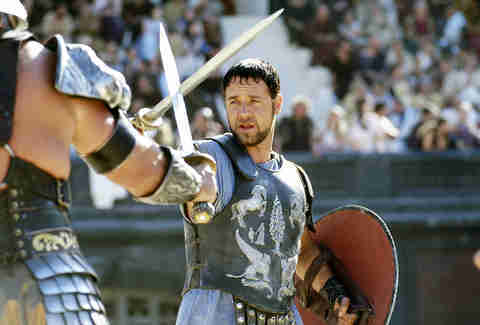 The fight is fierce and, in 4K, you’ll practically be able to count the bloodthirsty Roman denizens in the audience.